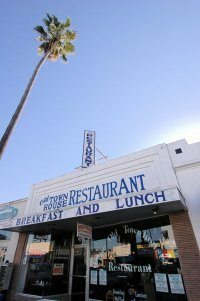 Yesterday, we heard from Ted Caplaneris, the owner of The Old Town House Restaurant on Newport Ave, that the television production “Terriers” is coming back to film at his restaurant. On June 09, 2009 the filming network gave a green light to “Terriers,” a show from “The Shield” creator Ryan and “Ocean’s Eleven” writer Ted Griffin. The idea came from Griffin, a “Shield” fan who penned an episode of the gritty FX cop drama. The series, about two knuckle-brained private investigators, has been picked up, and 13 episodes will be shot – ostensibly in OB. The show is to be on the air in April of next year. 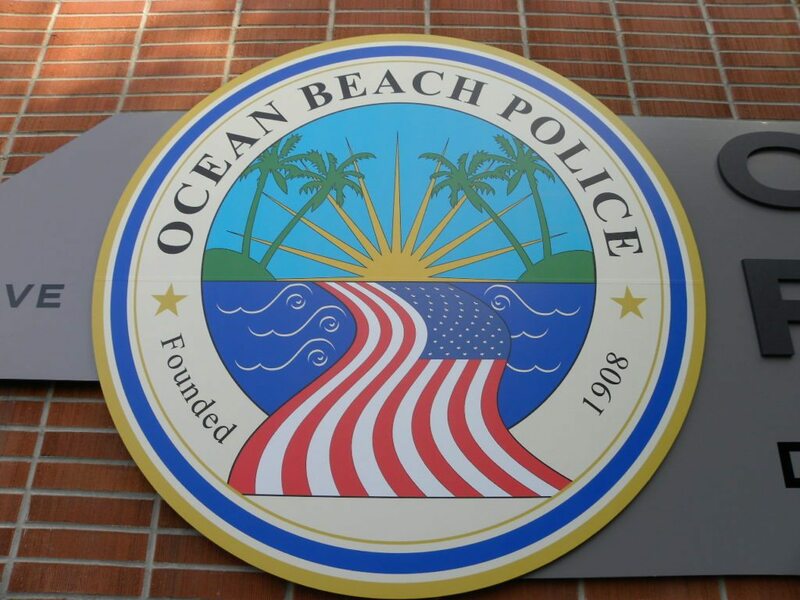 The series includes an “Ocean Beach Police Department” whose decals have been handed out to favorites in the community. They filmed in Ted’s restaurant for 12 hours, he said, for only 3 minutes worth of the show. Ted pointed to the front corner where the filming took place. His wife, Kathy, was an extra. He learned a lot, he said, in how a television production actually happens. With the money they paid him for use of his place, he’s buying a refrigerator. Chill deal. We are not certain if they still are, but the production crew was looking for locals to play extras. Man, now what am I going to do for Tuesday Biscuits and Gravy? Now, if we could just get all the local merchants, residents, surfers, homeless youth and cops to play themselves and the tourists as paid extras, we’d solve all our problems. The current bad business scenario would disappear for the local merchants, the unemployed residents would have jobs, the homeless could pay their way, the police would be funded – and we all could just relax. I tried to sign up on the extras website that they have in the help wanted section but they wanted to know my jacket size. What self respecting OBcean knows their jacket size? You can’t swim very well in a jacket is all I’m sayin’. Whadya xpec frum Roopurt Murdok? Realty or Re: Ali Dee?